We love Larabars around here. How can you go wrong with them? They’re portable, convenient to make, and require so few ingredients. 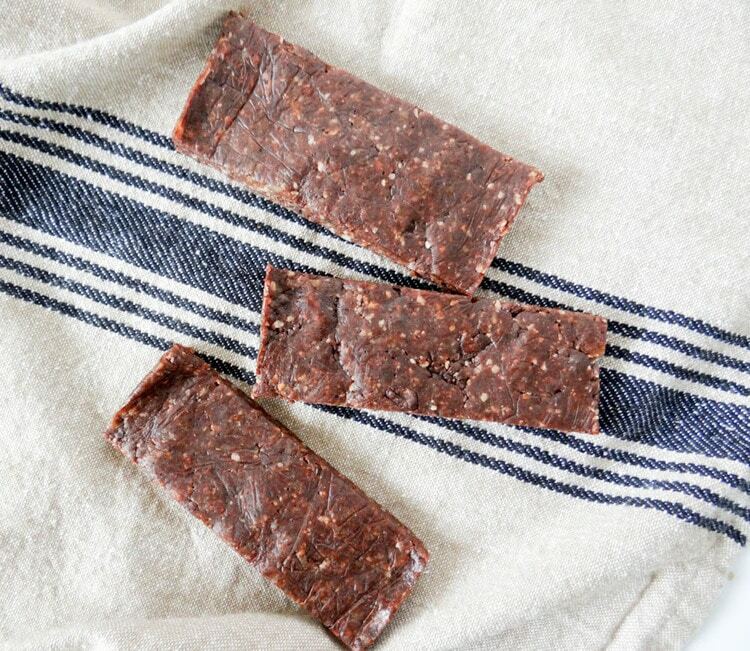 And since we’re not the only ones who love them (preferably as a post-workout snack), we wanted to compile a list of the best homemade varieties, with fun flavors and added benefits like fiber and protein. Nearly all of the recipes below can be made in minutes with just a food processor, and they’re great for those on-the-go moments when you want something healthy to eat instead of having to grab overly-processed (and priced!) gas station junk. 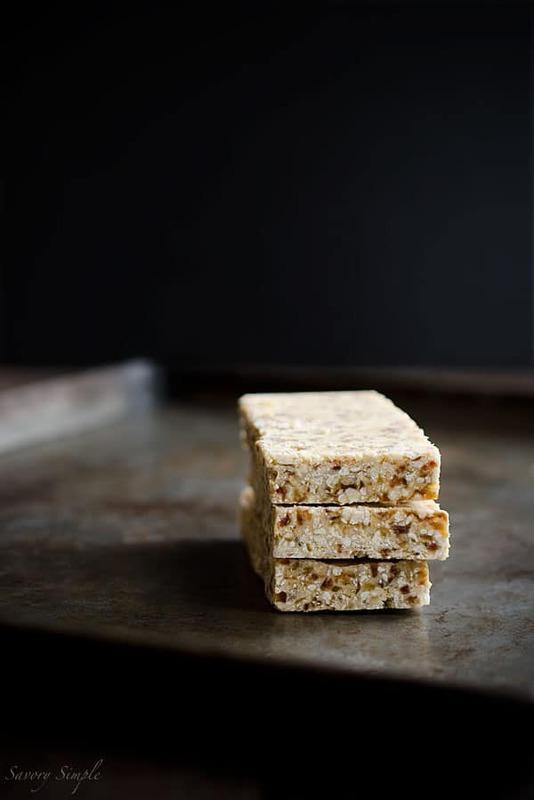 The great almond flavor from roasted almonds and almond butter in these bars gets a fiber boost from the addition of flaxseed. 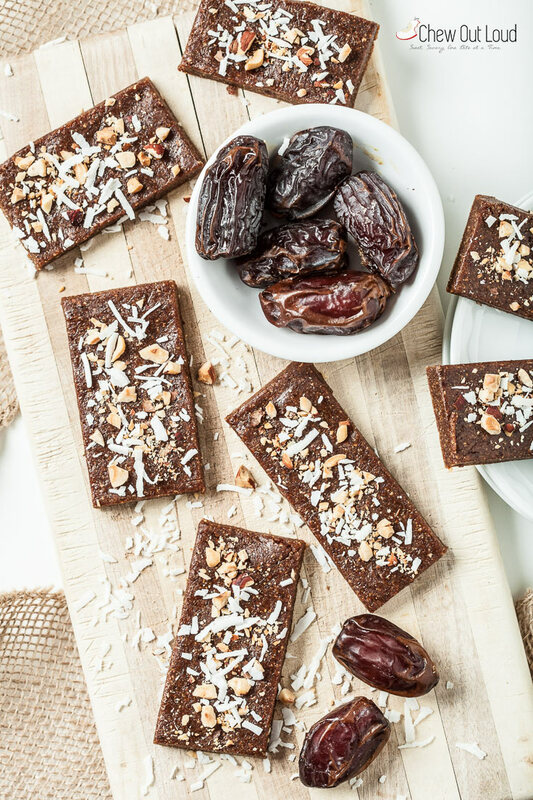 Have fun by mixing a variety of nuts, then send the flavor into power drive with toasted coconut and cocoa powder. 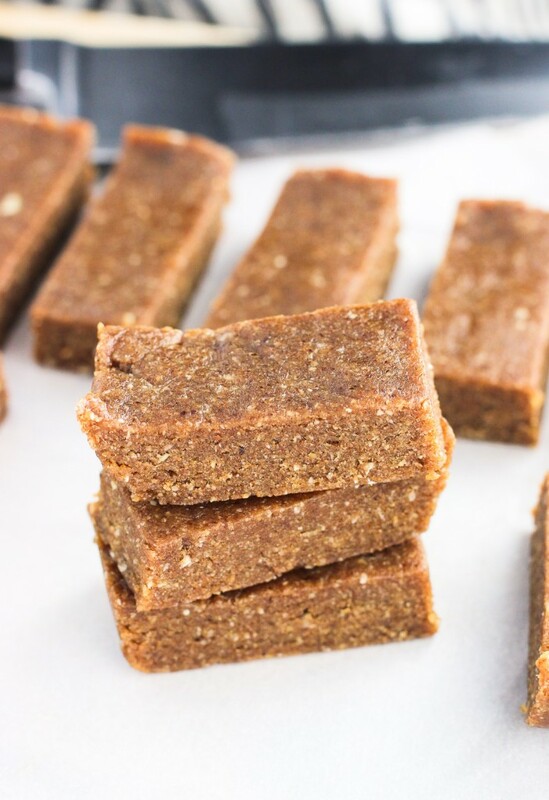 With only half the sugar of the original Larabar version, making this batch at home is a winner. 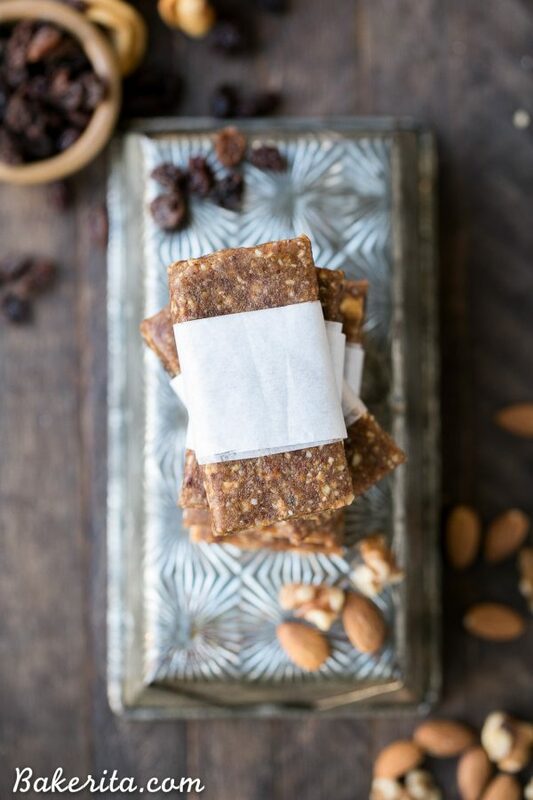 The simplest of homemade Larabars, this batch uses dried dates, a secondary dried fruit, and of course, nuts. To keep the sugar count low, be sure to use a dried fruit that doesn’t include any additional sugar. Save this one for a post-workout snack. Who needs bars when you can have balls? These little nuggets get their classic gingerbread flavor from a mixture of ginger, cinnamon, nutmeg, and cloves. 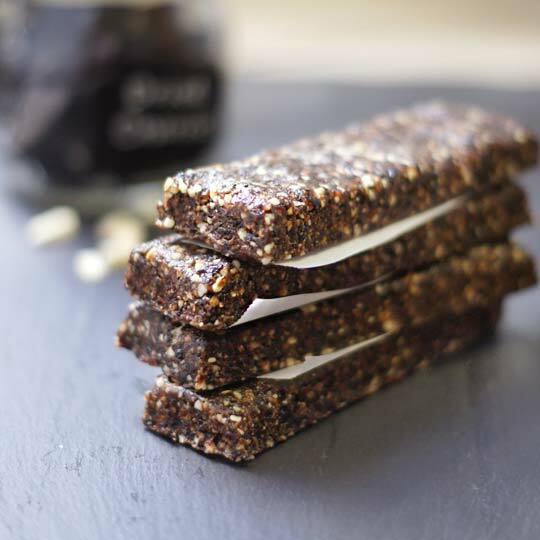 This smooth, chocolatey caramel bar gets a nutritional boost by adding the stress-busting adaptogen, maca powder. No one has to know these are actually good for you. 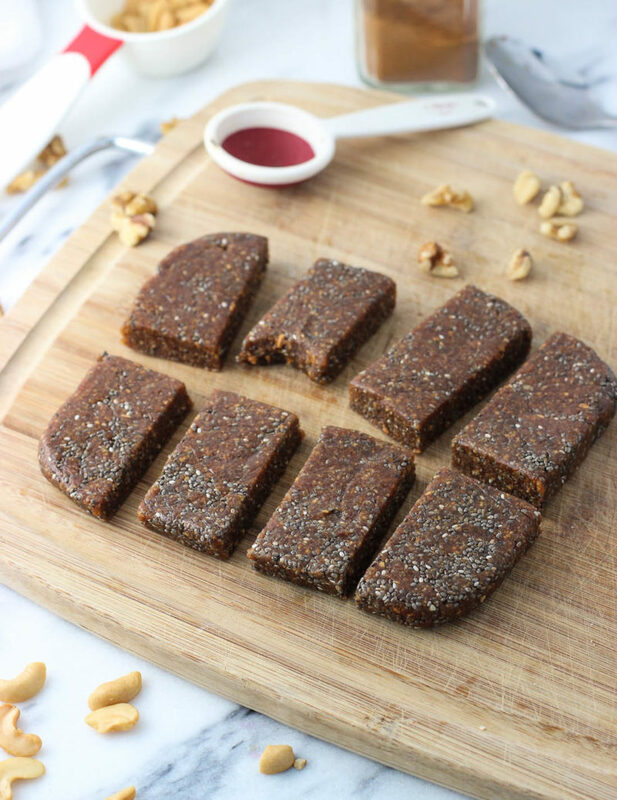 This recipe also utilizes maca powder, but has a very different flavor because it includes vanilla paste and almonds instead of pecans. 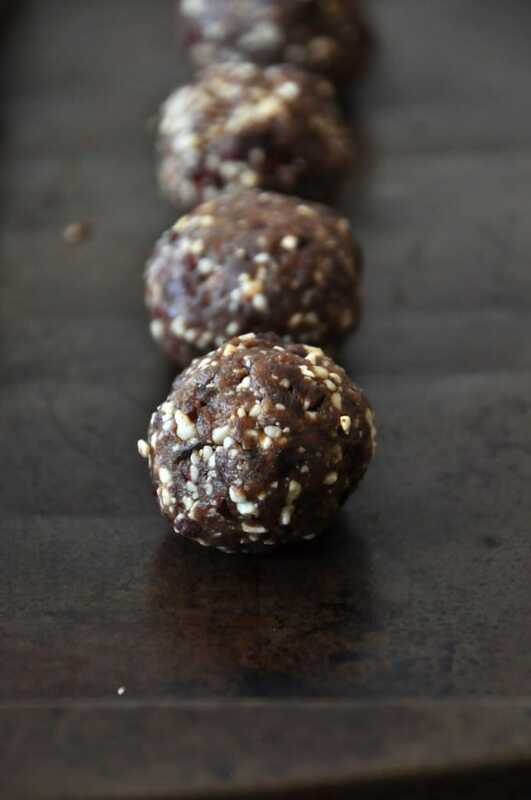 The addition of chocolate protein powder makes this a viable any-time snack. 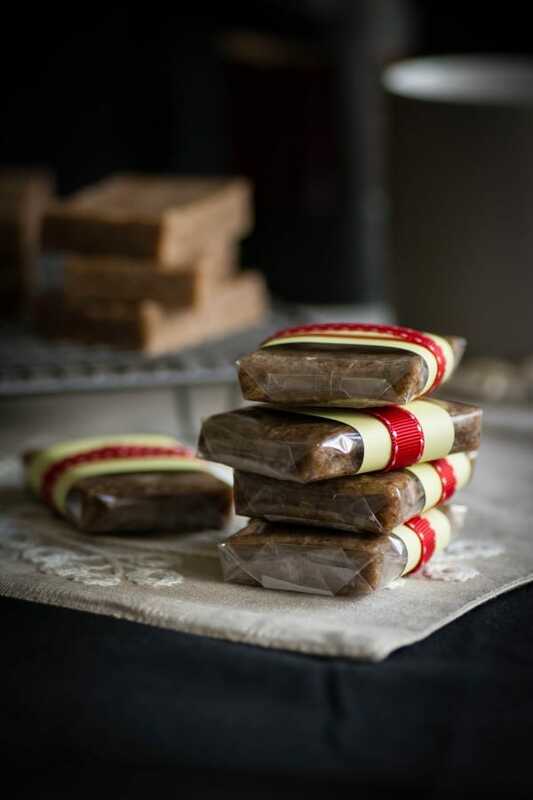 Just like what Granny used to make, except healthier and portable, these bars feature dried apples, and a touch of cinnamon for that true pie flavor. With a combination of roasted and raw cashews, dried cranberries, and chocolate chips, we’re definitely getting serious cookie vibes here. Nutritional tip: we recommend opting for unsweetened dried cranberries to keep the sugar count lower and your waistline happier. We already have Granny’s apple pie Larabars, so why not throw cherry pie in the mix as well? Even better, with just three ingredients, you won’t have to wait hours to get that cherry pie flavor you love so much. 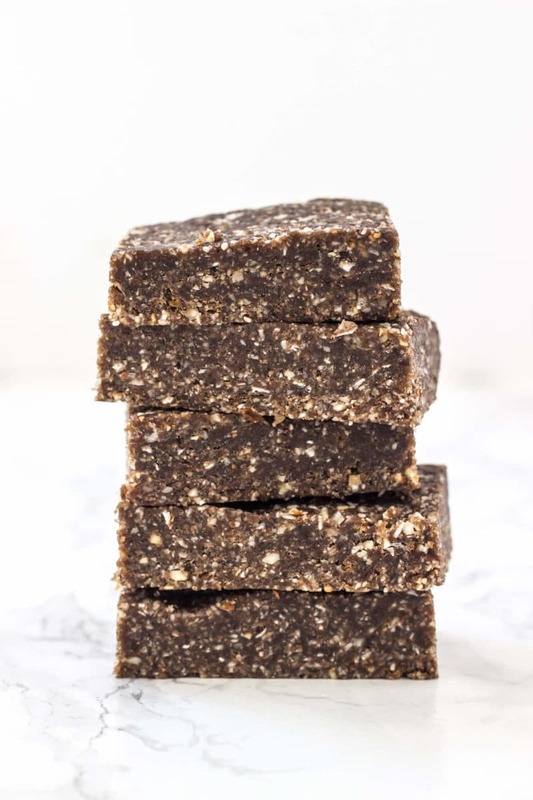 To really bring out that coconut flavor, this recipe goes all-in on the coconut, with coconut shreds, coconut butter, and coconut oil. It’s a trifecta that delivers a tropical paradise in your mouth. No time to bake up a batch of blueberry muffins? Don’t worry, we’ve got you covered. Breaking away from traditional bars, these Larabar balls perfectly blend dried blueberries and vanilla that make you feel like you’re eating the real thing. 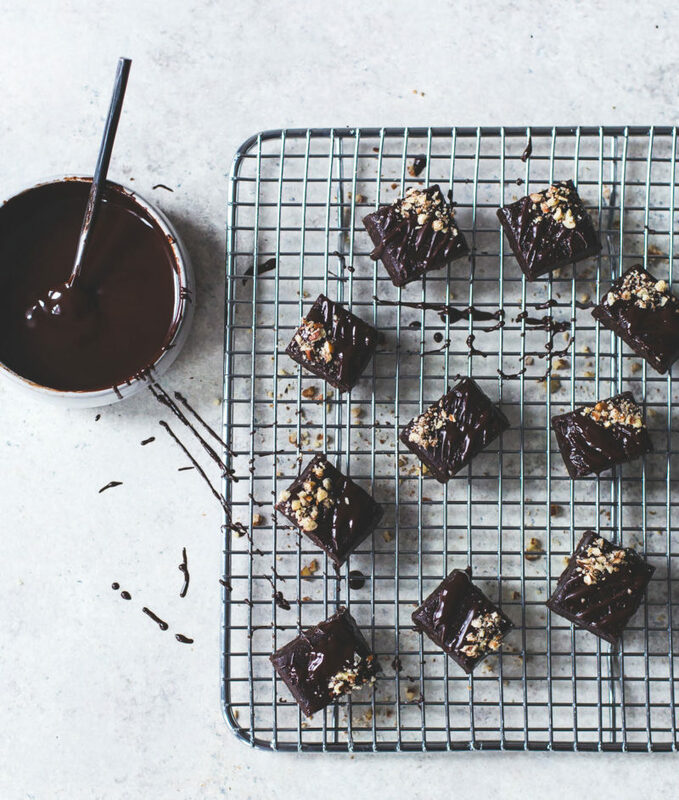 Nuts and chocolate just might be one of life’s perfect pairings. 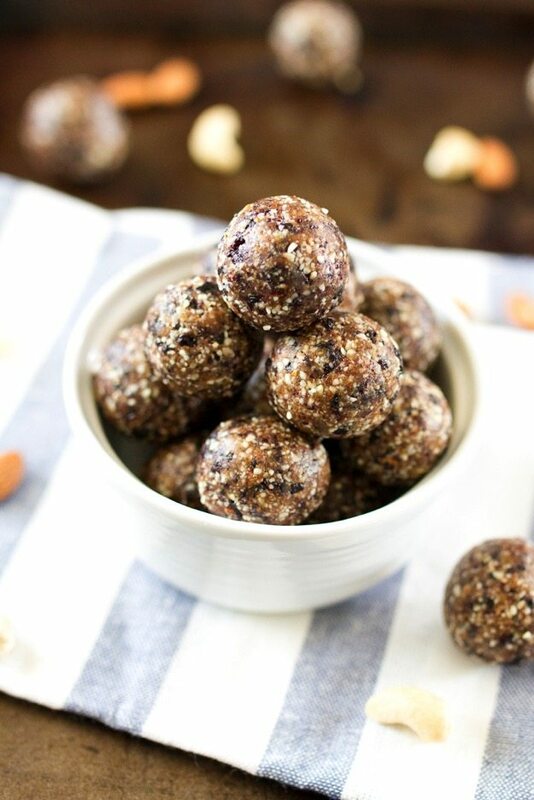 And in this recipe you’ll get a double dose of each – raw almonds and walnuts, dark chocolate chips and cocoa powder. If you’re looking for a chocolate indulgence, this Larabar really shines. 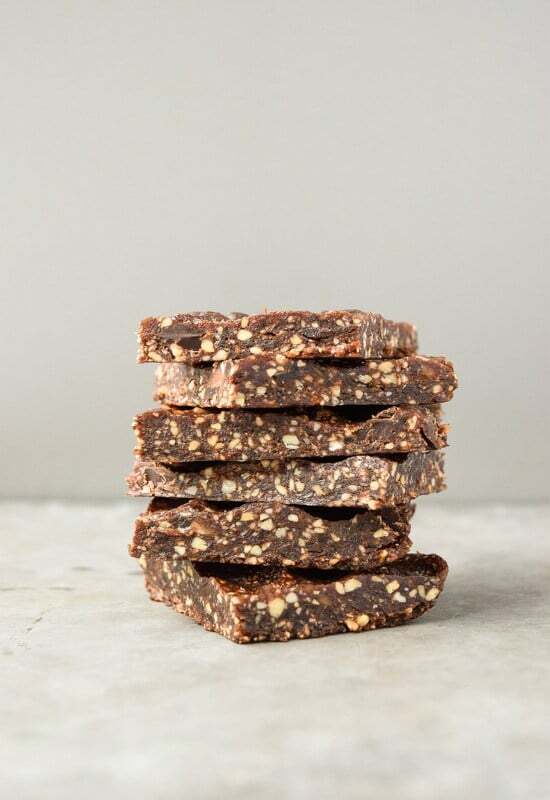 With a delicious flavor reminiscent of fall (thanks to the dried apples and ground cinnamon), these bars get a nutritional upgrade with heart-healthy, fiber-rich chia seeds. 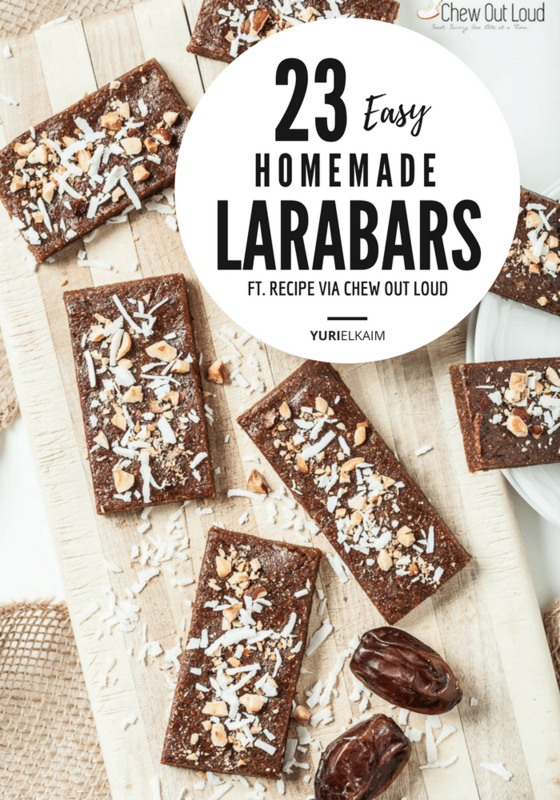 With so many options to make a great homemade Larabar, your snacks are definitely getting an upgrade. Whip up a batch and let us know which variety is your favorite! 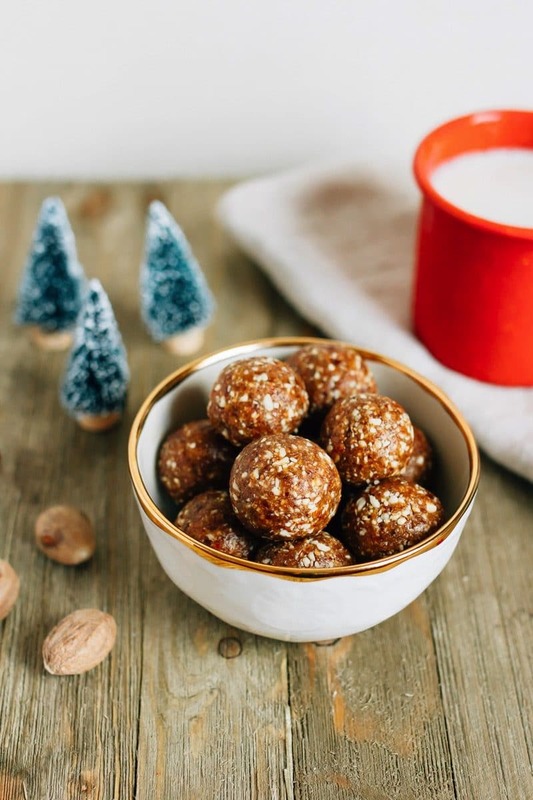 Get a FREE Healthy Desserts eBook! Looking for more healthy gluten- and dairy-free recipes that not only taste great but are actually good for you? Download your copy of the Healthy Desserts eBook and get 8 energy-boosting dessert recipes! Just click the image below for instant access to your copy.